Toni Kroos is reportedly eager to continue his career under the guidance of Jurgen Klopp as his manager. The Real Madrid star has been heavily linked with a move away from Spain, with a summer mass exodus looking possible in response to the club’s disappointing La Liga season. Madrid currently find themselves in fifth place and 19 points behind runaway leaders Barcelona, with manager Zinedine Zidane under serious pressure. 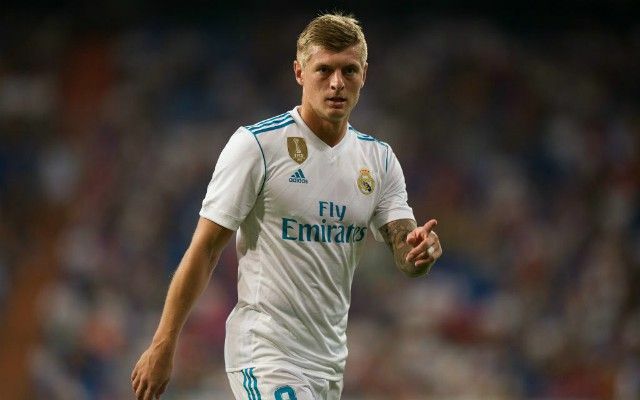 As it stands, Kroos won’t hesitate to leave Bernabéu and is notably keen on playing under Klopp having seen the German’s positive influence at Liverpool, according to Spanish outlet Don Balon. It’s worth noting, this is the same Don Balon that has suggested Klopp will be willing to spend upwards of €100million to sign Gareth Bale, and a large chunk of Philippe Coutinho’s £142million transfer fee on Madrid’s Marco Asensio. Make of that what you will. As inspiring as it is to imagine Kroos feeding the runs of Mohamed Salah and Sadio Mane with expert precision, it’s difficult to see him at Liverpool anytime soon. The club may be forced into the market for a new midfielder, however, depending on how Emre Can’s talks over a new contract at Anfield conclude. Kroos’ international teammate could be available on a free transfer when his current deal expires in the summer, with Juventus chomping at the bit to claim the midfielder. Despite the uncertainty, there seems to be new hope on Merseyside that an agreement to keep Can at the club is still possible. As for suggestions of Klopp moving to Madrid- not a chance.